100% cotton white skinny ladies t-shirt featuring a Graham Coxon 'A+E' print. 100% cotton white t-shirt featuring a Graham Coxon 'A+E' print. 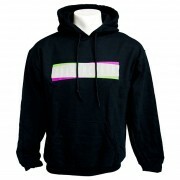 100% cotton black hoodie featuring a Graham Coxon print. 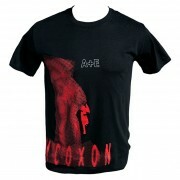 100% cotton black t-shirt featuring a Graham Coxon 'A+E' print.